@Onewiththeforce, vegan cheeses are usually in the cold case at stores... Dailya brand, Go Veggie... I forget all the brands. We haven't eaten it in a while. Some of them are like American Processed cheeses in the slices. Can't really tell the diff. Some are shredded. So check or call major grocery chains. Even Walmart I suspect. Kroger used to put things on sale. I ate some lentils and brown rice for lunch today. Never got around to eating a big salad, which isn't good. But I had juice at b'fast (and a banana) and tonight. Be sure and download this if you're eating WFPB! The "free gift" at the end of the PlantFit Summit was a pdf of a challenge -- recipes and food plans for eating Vegan for $5 (US dollars I assume) a day for 10 days, per person... Stop and think -- five dollars times ten days is only $50/person! From the lady who works for Forks Over Knives. I've downloaded it. Lots of the recipes look good! And very simple. Of course, she was limited in what she could buy, but I think she met the challenge really well! Watched Fuhrman on the Plant Fit Summit today. Anyone else? i think plenty of other docs have same concerns as Doc Fuhrman? & yeah i need to quit smoking!! Yes I watched all of the summit or at least listened as i did other chores except for the nutritionist who talked about diet and pregnancy. I did not get the link for the pdf though I may have accidentally deleted it. do you have a link you could share? Leslie, I don't know if the link works anymore -- I will just email you a copy of the pdf. Coming your way on the email you used to share the reboot with joe plan with me. My son made the mushroom and barley soup from Fuhrman's Quick and Easy cookbook today. Pretty good. Low salt of course. We often add tender greens at serving time instead of earlier to overcook. They wilt almost immediately and are more nutritious that way, I think. the mushroom were from Aldi's they have organic and not organic. which ones were they? i dunno .i hope i saved the post. i used to eat raw shrooms all the time. especially at salad bars when younger. sorry about mentioning the fact. however i believe Fuhrman suggest cooking shrooms anyway. he never mentions cutting them!! i will look later after sleep. i don't like the taste of arugula either!! scores higher on Fuhrman's nutrient density chart. gotta love what u like!! I do remember clearly that Fuhrman says to cook all mushrooms -- except one variety. (Thinking it might have been shitake's? If I run across it in the book, I"ll say so -- planning on going back for another read after I round up some of the books here in the house. I see Super Immunity and End of Heart Disease... I thought we had more. Pretty sure! Mushrooms are actually one of the foods that are more nutritious when cooked, I used to eat them raw in salads all of the time, but haven't for years. I tried taking an all natural wormicide that someone recommended, he said he saw worms after a couple of days and took it for 3 weeks took a break for a week then started back on it and low and behold he still had worms because the eggs survived the wormicide, and so he started back on it again for 3 weeks took the week break and went to try a 3rd round and no more worms! I took it for a week and no worms so I quit taking it, I guess since you can pick up worms from so many places it is a good thing to try now and again. Re: cucumbers and dressings, I had not thought of putting kiwi's in a cucumber dressing. What do ya'll think? Nice tang to the not quite too ripe ones... might be too sweet? I was just thinking flavors. Drat. I got home without any green beans. I got distracted in the store. did u see the pic of a lady on fb who had sliced into a small portobello & it had tiny white worms in it!! yes, do cook ur mushrooms & check them out first!! word. oh the store,Soose, i don't reckon ur the first to not bring something home!! Oh, gross, Zeke. I brought home mushrooms but in deference to my son who is going to make the mushroom/barley soup, I bought them sliced. Anyway, sliced were on sale; usually I buy whole foods. But now I'm glad because we can see we don't see any worms! UGGGGhhhhhhhh... I don't know if I can eat any now. 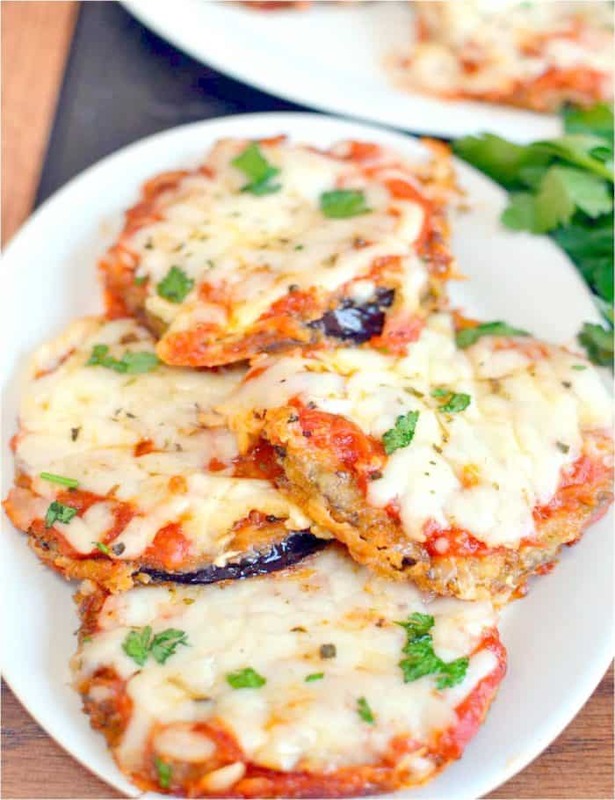 I made vegan eggplant parmesan and it was the best I have ever eaten here is the recipe. I read many recipes and wanted to be as sodium free ail free as possible, so this is the version I came up with.